SABC response to the Government consultation to begin badger culling in Avon. The Government is seeking to extend badger culling to Avon, Berkshire, Derbyshire, Hampshire, Oxfordshire, Shropshire, Staffordshire and Warwickshire. “SABC represents many people in Avon who will be directly affected by a roll-out of the badger cull. 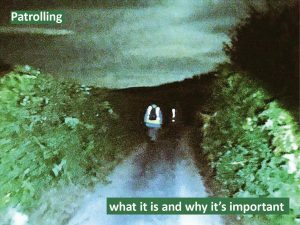 Landowners in the Somerset cull zones who do not want to be part of the badger cull and are approached have already experienced intimidation and bullying from cull operatives, cull company directors, and those pro-cull. Those who have not been approached by cull companies have been and are worried about what may or may not been happening on their boundaries. Private security has been employed to keep cull contractors off non-participating land. Many of our members have experienced considerable intimidation from cull operatives as quad bikes, landrovers, 4 WDs and tractors are turned into weapons to keep people from exercising their legitimate right to monitor what is actually going on in their neighbourhood. Shots have been fired over people’s heads whilst they’ve been walking on footpaths. Police have been called out to numerous incidents where public safety has been compromised. Many of our members have experienced considerable distress, anxiety, and extreme worry for well over five years affecting their health, well being and, as a result, their livelihood. As the Overview to this Consultation shows so clearly, the Government is pushing through an unworkable policy with lies and misleading information and this undoubtedly leads to a mistrust in Government that continues to follow a non evidence-based policy and puts political expediency as a priority over above science and conservation.